Travel back in time to the Age of Chivalry. 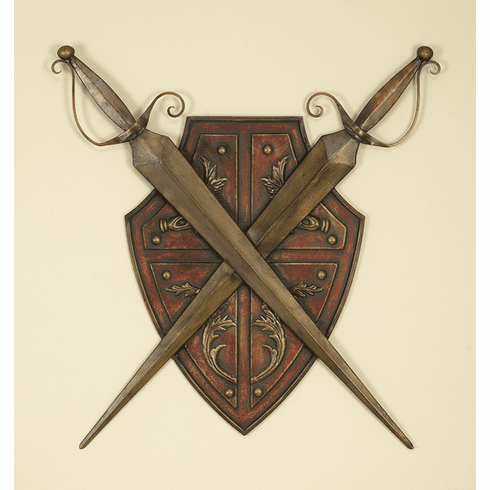 This magnificiant set of shield and sword made with high quality decorative metal will intensify any room you put them in. Every mark etched onto this beautiful art piece is crafted with beauty in mind. It also works well with many different themes of decor. This decor is very large, measuring approximately 34" High x 14" width. Arrange them any way you want to - in a different order, upside-down, horizontal - whatever you like! Coloring may vary slightly since this set is hand-painted.